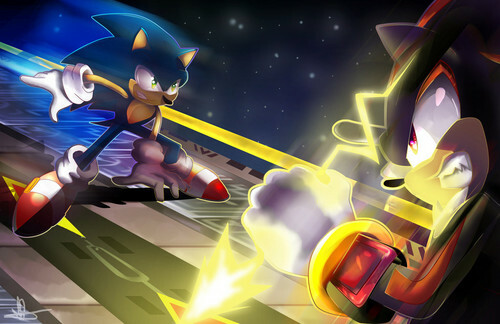 Shadow vs Sonic. I wanna see something like this.. HD Wallpaper and background images in the shadow el erizo club tagged: photo. I wanna see something like this.